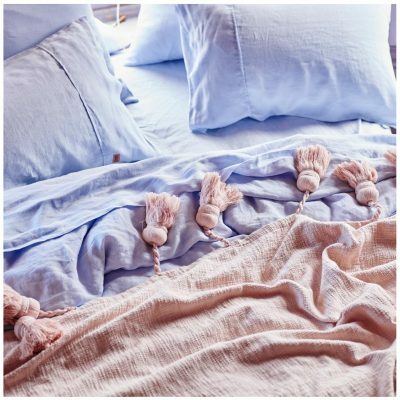 The Kip&Co Blush Pink Tassel Throw is a unique throw that will add a pop of colour to any room. 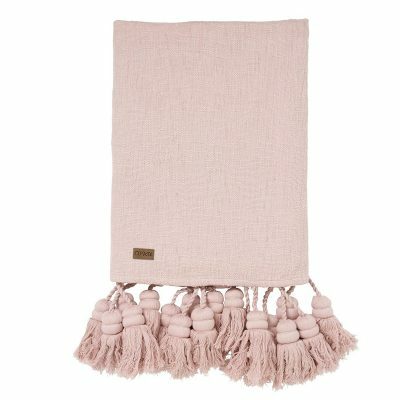 Made from 100% raw cotton and featuring Kip&Co’s famous oversized tassels, this soft pink statement throw is sure to please! Made Overseas. Designed in Australia.